Your opinion matters.  Leave A Review Or Edit This Listing for Corning Community Food Pantry. Each year, we distribute about 160 tons of food to thousands of people in need. But visitors receive more than just groceries. The Corning Community Food Pantry, a member agency of the Food Bank of the Southern Tier, offers dignity and respect. It doesn't matter what brings a person through our doors. It only matters that they leave with the food they need, served with compassion. We always need more information on our pantries. If you know of any details, volunteer information, website, hours or more description information about Corning Community Food Pantry please add a comment (below the map on this page), with information. We will then display this for all visitors on this page.